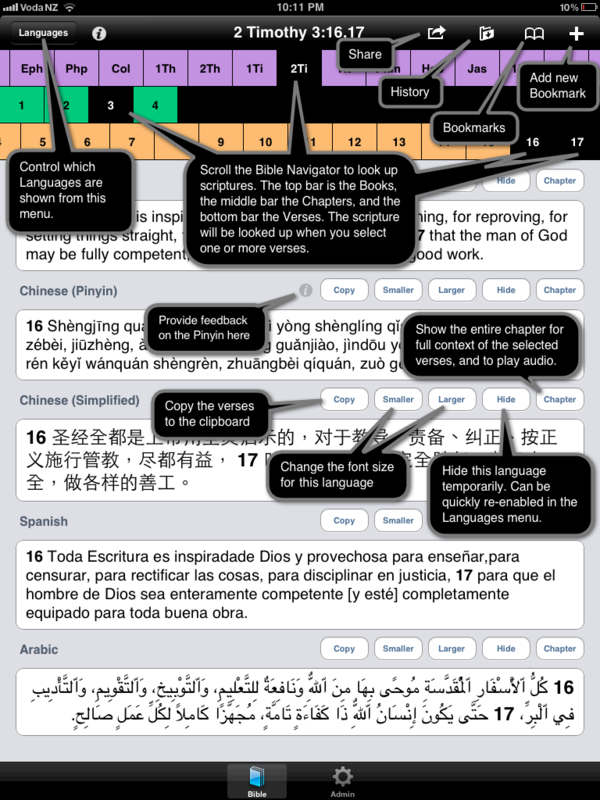 This is a quick overview of the Bible Module key user interface (UI) elements. 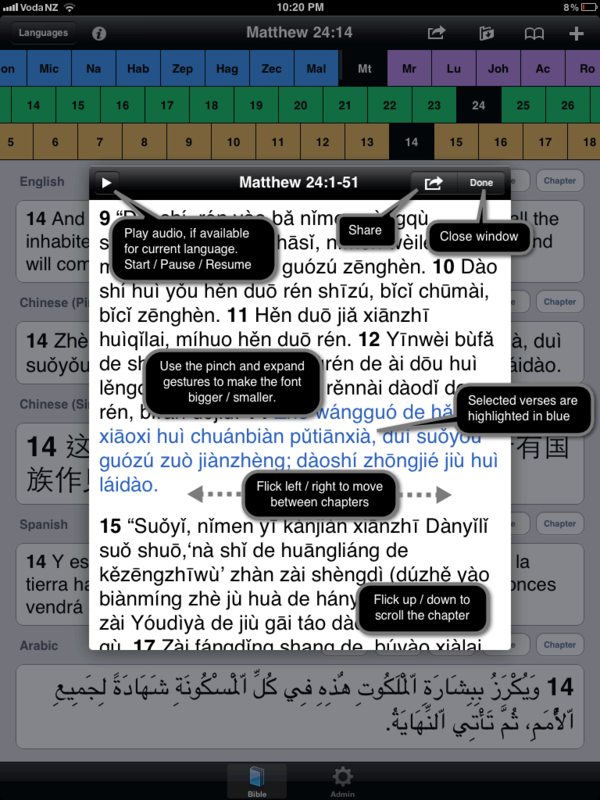 See the full context for the selected verses by opening the Chapter View. From here you can listen to the Audio while you read the chapter (if supported for that language). You can swipe left / right to switch chapters, or use the pinch / zoom gesture to make the font larger or smaller.